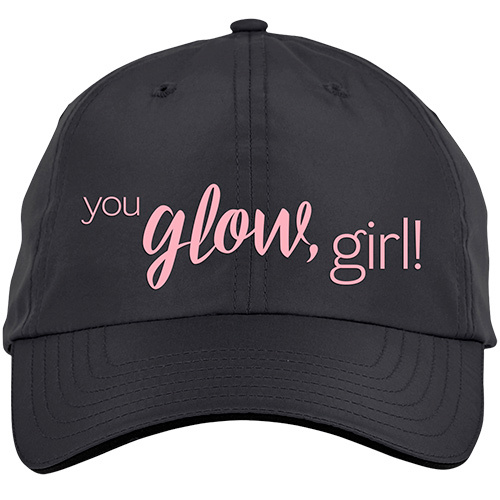 Advertise on the go with an MK You Glow Girl Performance Cap. This performance style cap features a polyester mesh inner sweatband, with moisture wicking performance and an adjustable self-fastening back closure. Glow on the go with this stylish hat!